Flannel Shirts on Women, Yes or No? The weather in Boston is cold and I’m already constantly freezing, which I will be for the rest of the winter. I was not born with warm genes. I’m currently wearing one of my boyfriend’s flannel shirts, which is toasty, but would not get the seal of style approval. I don’t wear these shirts outside, just to be clear. But I want to. I just want to be warm. 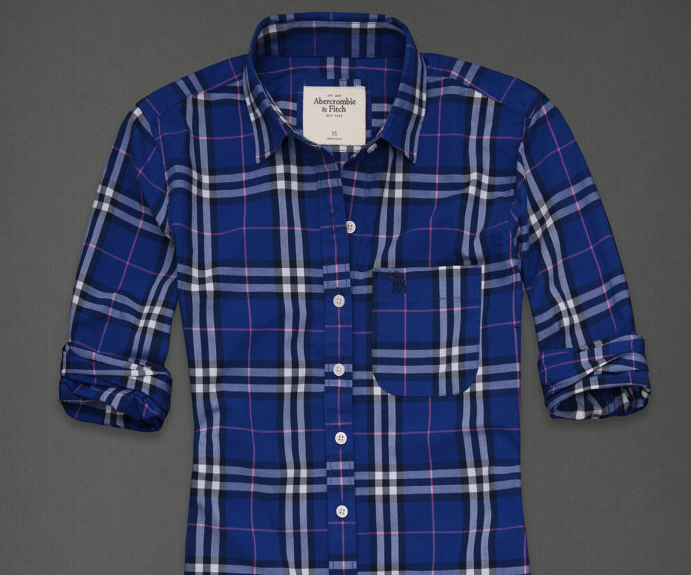 Are flannel shirts, like most other warm clothes, just not fashionable for women? Uniqlo apparently thinks flannel shirts are fashionable, enough so to devote an entire section on their site to flannel shirts for women. I’m not sure I can get behind these tunic shirts though. Is this look some kind of reverse chic? I guess I just answered my own question. If I find myself reflexively mocking the flannel shirt Uniqlo spread, it’s clear I’ve decided that flannel shirts do not equal style. They definitely win in warmth, but style, no. This model is attractive despite the fact that she’s wearing flannel, not because she is. The bottom line is that flannel is a look appropriated from lumberjacks and the Old West by way of grunge, and it’s trickled down to the rest of us. It certainly has a place in the stylish wardrobe, but not as something that is going to make us look “better.” A flannel shirt may make us look “stylish” if grunge or a touch of grunge is our style, but I don’t think that the check pattern could possibly enhance any woman’s body or features. Do you agree, or have I just insulted your favorite item of clothing and accused you of having bad taste? Gotta say. I agree. Even with princess seams, the breast pockets removed (by me), and colors that suit me……….yuck. Indoors only. D – I agree, you can take whatever pattern of plaid you want but it’s still square shapes. Maybe squares are flattering on someone, but I don’t think they work for many people. T – You’re right, of course. Hey, maybe you should write my next post for me. At least tell me the topic! 🙂 Oh wait, jeans! Thanks! In my part of the world flannel is the fabric, not a particular type of pattern. I prefer smooth fabrics and dislike flannel for the fuzziness of the fabric and dislike suede and velvet for the same reason. Although the pattern posted isn’t my favourite as I prefer more blended plaids, medium-sized stripes and plaids are the only patterns I’ve ever liked wearing (even as a child) and while I’m not sure they’re necessarily my best I do think they work much better than any kind of floral or abstract or ornate or swirly or most any other type of print, even smaller checks I don’t much like because they feel busy to me (although since I’ve never worn them I don’t know if they’d look busy on me or not). Of course, I could be wrong since it is difficult to see yourself with any kind of objectivity. I actually agree with everyone. The first thing that occurred to me, like Hanna, was, are we talking fabric, or are we talking the plaid print that is so often associated with it? I think flannel as pajamas in wintertime is completely acceptable, but I don’t think it’s the greatest outdoor fabric. In fact, I think that the plaid prints are often underserved by flannel. It’s so extremely casual, it takes away the sharpness of squares and makes them sloppy. Like Tiara said, plaid can work very well on the right person (who geometrically has a lot of squares in their body). Also good on those who are I or H shaped. On other people plaid will compete with their body geometry. I think that, in a different, crisper fabric, plaid can look good on the right person – just look at Burberry plaid. Burberry clothing is chic and sharp, and the print goes well with that. So, I think, if plaid goes well with your body and your style, there is definitely room for it, provided it’s used in the right fabric. To me, plaid and flannel together are better suited for indoor use, like Donna said. We just need more of the stuff that’s flannelized on the inside (to be warm and cozy) but not the outside (so it looks better on those of us who don’t do nubby fabrics well)! Everyone has their opinion and some like it some dont, as the old saying goes.. You can’t please everyone, so please your self. If you feel comfortable in it, wear it. Everything that is good for the soul, do that.